At Rocking Horse we offer hugely versatile recording services which can accommodate virtually any high quality recording requirements using the very latest equipment at very reasonable prices. 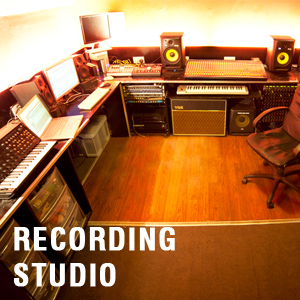 The Recording Studio/Control Room and Vocal Booth are located centrally within the building and are linked to all 4 Rehearsal Rooms which act as both rehearsal rooms and performance areas for recording. We can record a full band (Drums, Bass Guitar, Guitar, Keyboard, Vocals and more) in separate rooms simultaneously, record vocal/spoken word, record a rehearsal, mix/master tracks and record and edit Video. All completed recordings can also be professionally mixed and mastered ‘in house’ by our resident sound engineer/producer meaning a band or artist can be professionally recorded, mixed, mastered and have a finished product all without leaving the premises! 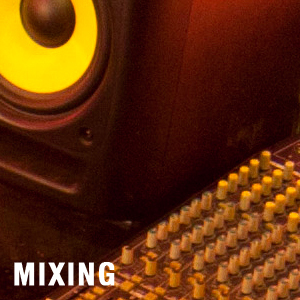 We also offer professional standard Mixing/Mastering service to anything that has been recorded elsewhere. Don’t just take our word for it, check out some of the recordings we’ve done along with some of the tracks that have been professionally mixed/mastered here. 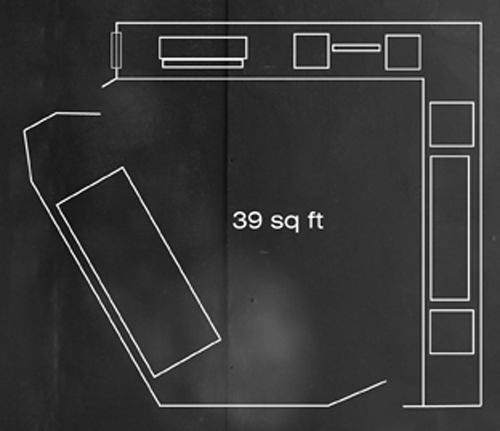 The Recording Studio/Control Room and Vocal Booth have been designed to accommodate almost any recording scenario! They are located centrally within the building and are linked to all 4 Rehearsal Rooms which act as both rehearsal rooms and performance areas for recording. The Rocking Horse Recording Studio/Control Room was specifically designed by our resident sound engineer/producer Neil Combstock from the ground up based on past experience working in recording studios/mastering houses. It is acoustically designed/dampened to provide the best possible recording/mixing workspace and is comfortable with its mood lighting, sofa and air conditioning. It is linked to all of the Rehearsal Rooms at Rocking Horse providing the potential to record from any of the 4 rooms with up to 24 tracks 24 bit digital recording capability. This makes possible the ability to record separate band members in each of the 4 rooms along with a singer in the Recording Studio/Control Room’s Vocal Booth meaning you can record a song in one take whilst still retaining clear, isolated recordings on each channel. Room 3 is also large enough to accommodate a full band (along with the required microphones) to provide a more ‘live’ sounding recording if required. Completed tracks can be professionally mixed and mastered using the very latest mixing/mastering software and plugins monitored through professional KRK speaker monitors (including a 10 inch KRK sub) and Yamaha MSP5 near field speaker monitors. The Recording Studio/Control Room can also be used to Record A Rehearsal from any of the 4 rooms if a band would like to have a rough CD recording of their practise sessions. The standard rate for recording studio/control room is £15 an hour which includes usage of the vocal booth (for either vocals or isolated guitar amp) and basic recordings. 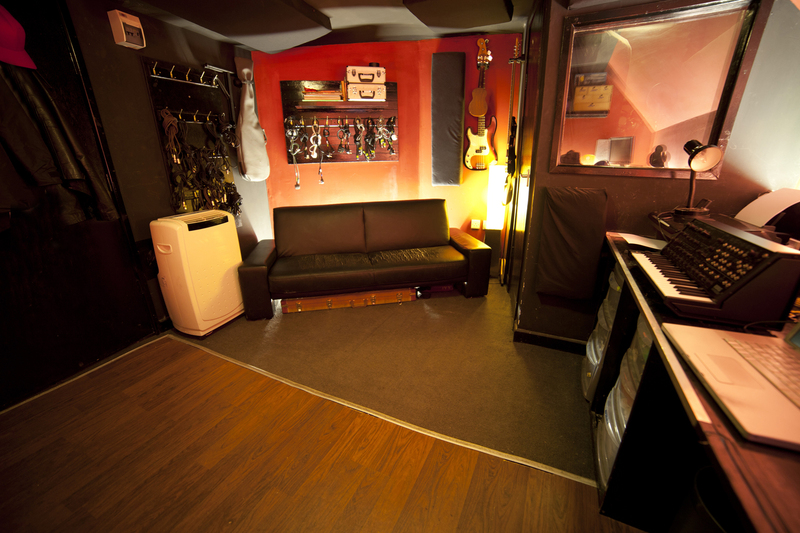 However, if any of the 4 rehearsal rooms also need to be used (to record drums for example) then the rate is £20 an hour. We also offer a discount rate of £150 for a full day recording if a full band needs to record a number of tracks or full album and other deals depending on the amount of recording needed. The Vocal Booth is a multipurpose cubicle located within The Recording Studio/Control Room which can be used to isolate the vocalist from the rest of the band to achieve the highest clarity during recording, it can be used to record vocals over existing backing tracks for vocalists and can be used to high quality record spoken word recordings. 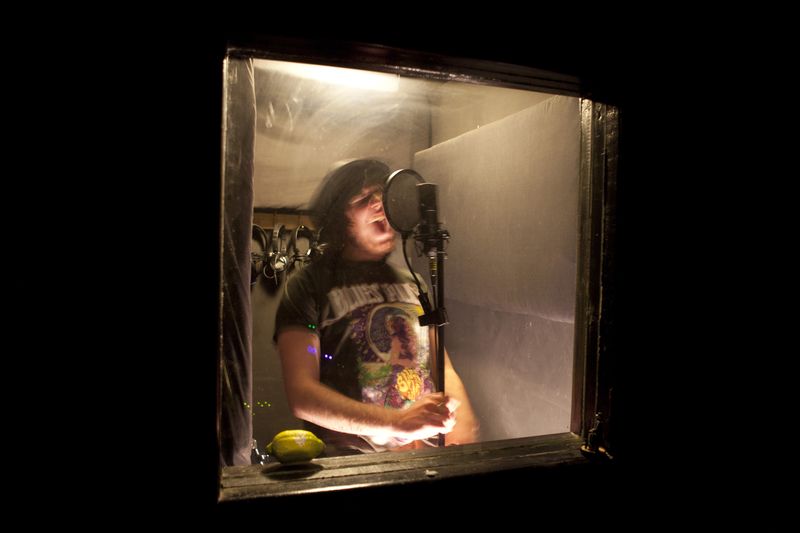 The Rocking Horse Vocal Booth has often been used to record vocals over existing backing tracks. Just bring along your existing backing tracks and we’ll load them into our professional digital audio workstation, record your vocals and mix/edit the tracks to sound as professional as any released material using our mixing/mastering techniques. The Vocal Booth is equipped with a high quality ADK A-51 condenser microphone for vocal recording but also acts as an isolation room for guitar/bass amps if required when recording a full band. It is approximately 1 x 1.6m in size with sight lines to the control booth. Up to 4 microphones and 4 pairs of headphones can be used simultaneously should an artist need to record an acoustic guitar (for example) whilst singing vocals. The Vocal Booth is also often used to record guitar amps and can be fed directly from the control room to isolate the sound whilst performance is carried out in the Recording Studio/Control Room. 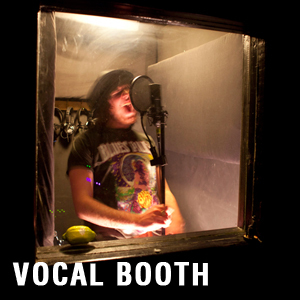 The standard rate for recording studio/vocal booth is £15 an hour which includes usage of the vocal booth. Worried about how your mix will sound once it has been recorded at Rocking Horse? Don’t worry, our resident sound engineer/producer has recorded/mixed/mastered pretty much every genre of music possible, from punk bands to death metal bands, from hip hop to dance music, from operatic singers to full orchestras! If your recordings were done elsewhere, we also provide and a professional mixing/mastering service if required. We can mix/master your tracks using the very latest audio software to the very highest standard. Check below for examples of mixing/mastering work already completed within the Rocking Horse Recording Studio facility. Everything recorded in the Recording Studio/Control Room can be mixed down/ mastered in house to a highly professional standard. After a band/artist completes their recording sessions, the band/artist will be given a rough mix of the recordings. These recordings will then be edited/mixed and a further session in the studio/control room to complete the final mix down and mastering. 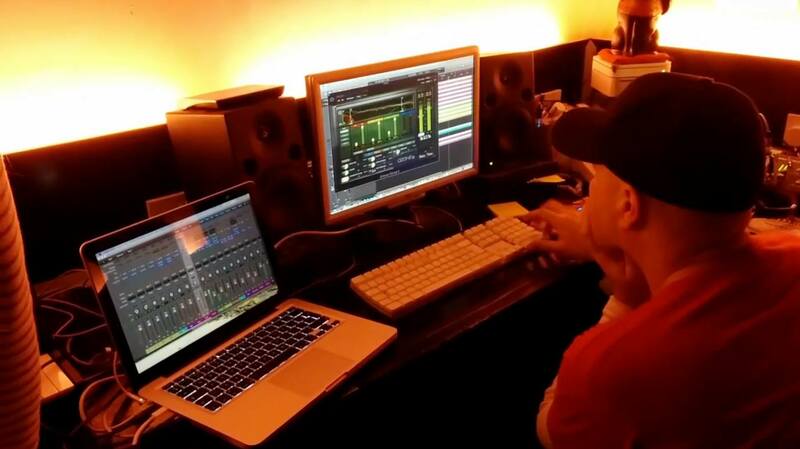 The recordings can be mixed as many times as necessary until everyone is completely happy with the final product! Tracks that are recorded at Rocking Horse are mixed and mastered as part of the recording deal, however, a later session in the studio/control room will need to be booked to complete the final mix/mastering, which is £15 an hour. Tracks that have been recorded elsewhere can be mixed for £20 each track. There are special deals should a full album for example needs to be mixed down. 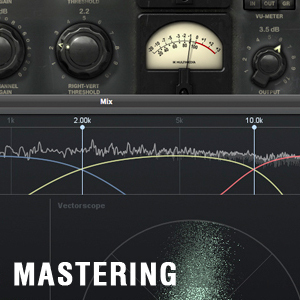 Mastering is the final stage of the production process and the final stage to check, balance, EQ, correct and enhance your music before it’s released. We have the skills, technology and experience to bring out the potential in your recordings to a level comparable with any commercially released material. 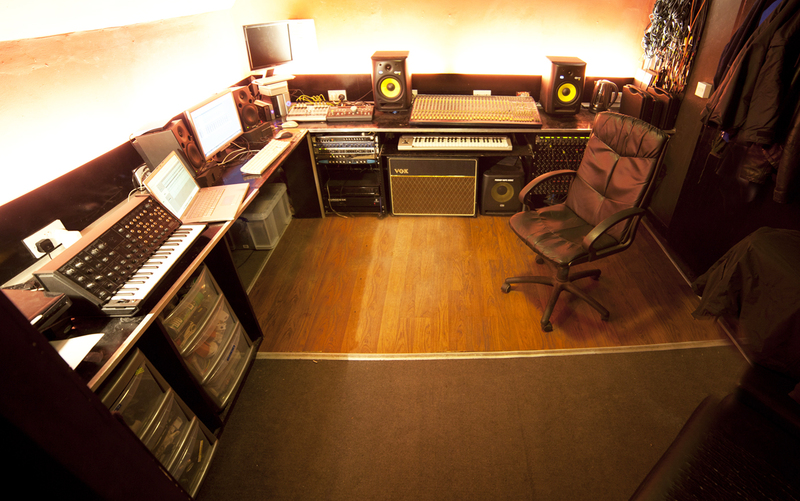 Everything recorded in the Recording Studio/Control Room can be mastered in house to a highly professional standard. Should require your existing tracks to be mastered, we can also master those tracks for you. If your tracks are for digital release you can send us the tracks, have them mastered and optimised and sent back to you. If your tracks are for CD release, you can send us the tracks either online or by any other means and we can provide you with a professionally mastered CD. We can optimise any recordings made at Rocking Horse (or recordings done elsewhere) to the very highest level so that it sounds as good as any commercially released material. This is achieved by using the very latest mastering software and equipment to optimise your music ready for either CD release or online release such as iTunes, Spotify, Amazon, etc. CD releases can also be ‘red book’ mastered to include commercially important information such as ISRC codes and UPC/EAN (barcodes). We also offer online mastering services should you need to have tracks mastered that have been recorded elsewhere. Our resident sound engineer/producer has worked in mastering houses worldwide (including vinyl mastering houses) and has collected a wealth of knowledge and experience to master a wide range of projects. Everything recorded at Rocking Horse will be mastered to the very highest level. Don’t just take our word for it! Check out some material that has been mastered at Rocking Horse above which demonstrate tracks before they were mastered along with the tracks after they had been mastered in the Rocking Horse Studio. Tracks that are recorded at Rocking Horse are mastered as part of the recording deal, however, a later session in the studio/control room will need to be booked to complete the final mix/mastering, which is £15 an hour. Tracks that have been recorded elsewhere can be mastered for £20 each track. There are special deals should a full album for example needs to be mastered. Neil Combstock, our resident sound engineer/producer has a career as a Record Producer, Sound Engineer, Mastering Engineer, DJ and Promoter with over 20 years of experience. He has completed around 100 recording sessions at Rocking Horse encompassing many different genres of music. He previously worked in many different studios in London including the Fluid Ounce Studio, Metropolis and Music City whilst also doing freelance sound engineering work. This work also led to time spent in mastering houses such as Alchemy Mastering Ltd and Masterpiece in London mastering recordings to both Vinyl and CD. He spent 5 years in Japan DJing and working as a sound engineer/producer. He also recently worked for the Music Department at Durham University for 2 years as Head Music Technician gaining valuable experience working with Classical/Jazz musicians, managing the concert hall, music equipment, the music laboratory and 4 recording studios. Neil has a huge back catalogue of work prior to the creation of Rocking Horse work as one half of Ninja Tune’s Zero dB which has seen him release 5 albums, whilst also working with some of the most respected talent around the world. He has released material on record labels such as Ninja Tune, Fluid Ounce, Tru Thoughts, Sony, Victor Japan (JVC in England), Ministry of Sound and Ubiquity. His work in Japan has seen him collaborate with many artists such as Kyoto Jazz Massive, Root Soul, Soil and Pimp Sessions, UFO, DJ Kentaro amongst others. He has also collaborated the likes of Gilles Peterson (BBC Radio 6 Music), Mr Scruff, Azymuth, Kruder & Dorfmeister, Bonobo, DJ Food, ATFC, Hexstatic, Quantic, Coldcut and Attica Blues in the past. He has also DJ’d and performed all over the world covering most of Europe, the Far East, North America and Australia. This includes festivals such as The Big Chill, Glastonbury, Marsatac (Marseille), Transmusique Festival (Renne), Kontrapunkt Festival (Zagreb), Cité De La Musique (Paris), Yebisu Garden Hall (Tokyo), Worldwide Festival (Singapore) along with hundreds of famous nightclubs worldwide (too many to list!). With his extensive technical knowledge and experience, Neil has helped to build Rocking Horse from the ground up, runs the Rocking Horse Recordings Ltd record label and deals with all recording studio and sound engineering matters. His experience as a producer has covered pretty much every music genre there is and has also now built up huge knowledge and experience of recording bands at Rocking Horse, creating our unique sound! Selected Work (as Zero dB): (COMING SOON). Need a demo CD to send out to venues for booking gigs, but are not quite ready for the studio? For only £30 on top of your room hire we offer a rehearsal recording service to our bands use as either a demo or to listen back to how well (or how badly!) your practise went. Each of our 4 rehearsal rooms is fitted with a 24 channel mic box which provides the potential to record from any room directly into the Recording Studio/Control Room. We will mic up everything as if it’s a live gig, i.e. kick, snare, bass, guitars and vocals direct to the studio (using DI boxes), but you’ll still be able to rehearse using the PA for vocals. This enables us to record better high quality rehearsal recordings! We’ve also created a ready to load template in Logic to make the whole editing/mixing process a lot quicker after your rehearsal. Those recordings can then be checked after the practise session is complete and edited to separate tracks (if required). You will then be presented with a CD (or multiple CDs if required) of the recordings along with an MP3 version to download via a link (if required). We will mic up the room with high quality recording equipment and patch it through to our studio. All the bands so far have been very pleased with the outcome. We’ve uploaded some of the recordings to Soundcloud which you can check out above. All you need to do is tell us you want to record when you book your rehearsal and we’ll make sure your room is mic’d up for your arrival. Please let us know well in advance if you require a rehearsal recording due to the extra time required to set up mics and recording equipment.